First gallery showing of my work! I am supper excited to be a part of it. 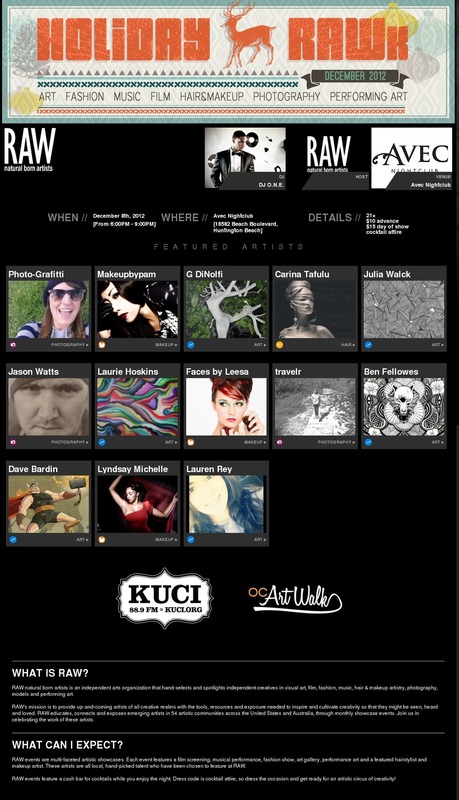 Come out and meet me for the December RAW Artist showcase. Music, Drinks, Great Local Artist, and Good Cheer...what else do you need! The Date is December 8th, from 6-9pm, for $10. Follow the link below to by tickets.